The following stories appear in Solid Ground’s most recent print newsletter. Read our main story here: ‘From seed to plate… Engaging & educating at our farms’. To sign up for email updates, the Groundviews Blog, or to receive the print newsletter by snail mail, visit our Get News & Updates page. Come on out to our farms! 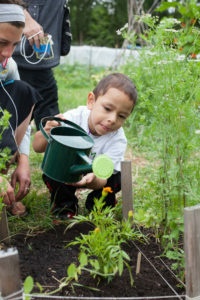 Solid Ground is fortunate to have several talented volunteer photographers who help capture the beauty and bounty of our giving gardens at Marra Farm and Seattle Community Farm – as well as the energy of the volunteers and students of all ages who engage at the farms. Erin Lodi has donated her time and work to Lettuce Link and Apple Corps since 2014. Her photos of our Giving Gardens and nutrition classes – in particular her shots of the children who come to the farm to learn what it takes for veggies to get from the earth to their plates – tell the vibrant story of the magic of discovery that transpires at our farms. In 2015, Noam Almosnino began a year-long “Four Seasons” project to document how the farms morph and transform over the course of a year. Specializing in landscapes (see the featured image at the top of this post), he also photographs volunteer work parties and surrounding areas “to shine a spotlight on the two farms.” His photos have a nostalgic feel that captures the romance and promise of the farms. Thanks to Erin and Noam for sharing your significant talents to tell the pictorial stories of our farms! Click on their names to see more amazing photographs by Erin and Noam. McKinstry, a full-service design, build, operate and maintain (DBOM) company, has a unique model for engaging their employees in volunteerism: When employee groups volunteer for a nonprofit whose mission aligns with McKinstry’s focus areas of nurturing children, educating youth and protecting the environment, that organization is eligible for a small grant from the McKinstry Charitable Foundation. When looking for group volunteer opportunities for a 2015 Earth Day opportunity, Solid Ground’s Giving Garden at Marra Farm turned out to be a perfect match for McKinstry’s core priority areas. 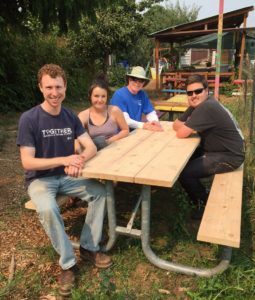 Then later in the summer when vandalism at Marra Farm destroyed a picnic table, McKinstry volunteers jumped right in to rebuild it. McKinstry’s Seattle location is in Georgetown, adjacent to Marra Farm’s home in the South Park neighborhood. This summer, McKinstry will send another volunteer group to one of Solid Ground’s urban farms – a trend we hope will continue! McKinstry, we appreciate your multifaceted support and look forward to growing an ongoing healthy partnership! King County selected Solid Ground to be one of five Coordinated Entry for All Regional Access Points (RAPs). Coordinated Entry is the County’s strategy for managing access to the housing services system for people experiencing homelessness. 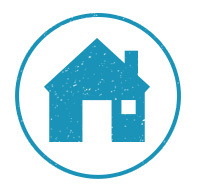 While the 2-1-1 phone system will expand its role as the primary way people initially connect with services to address housing crises, Solid Ground housing assessors/navigators – and those at the four other sites throughout the County – will conduct initial assessments, help people understand requirements to get housing, gather required documentation, and more. The north RAP will likely be located at the Meridian Center for Health at 10521 Meridian Ave N in Seattle. The program will be up and running later this summer. For more info, please contact shannonr@solid-ground.org. 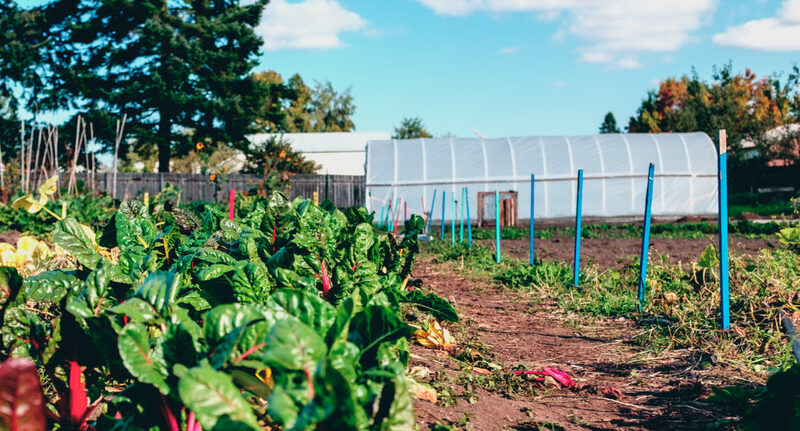 FARM TOURS: Did you know Solid Ground hosts farm tours and student field trips at our Giving Gardens at Marra Farm in South Park and Seattle Community Farm in the Rainier Valley? Groups can visit once or come multiple times during the growing season. 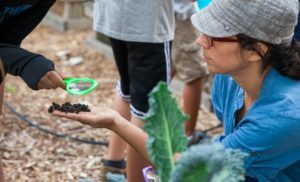 For preschool to middle schoolers: We offer field trips on Garden Exploration, Environmental Stewardship and Service Learning. For adults & high school youth: We offer farm tours, service learning opportunities, and work parties. Visit www.solid-ground.org/get-involved/farm-tours-field-trips for more info and to fill out our online Field Trip Request Form. VOLUNTEER! Both of our urban farms host regular volunteer work parties. Whether you’re one person interested in digging in the dirt or want to bring a group from your school, community agency or workplace, we welcome volunteers for a variety of gardening tasks. Visit www.solid-ground.org/get-involved/volunteer for more info. Questions? Email lettucelink@solid-ground.org. Thank you to all who joined us for an afternoon of laughter and inspiration with comedian Hari Kondabolu at our 2016 Building Community Luncheon in April. Collectively, we raised more than $250,000 to build a strong, just and healthy community for us all! Demetria Roundtree, featured in the event video, who started us off with her powerful invocation. Emcee Nancy Guppy, who kept things flowing with a sense of humor. 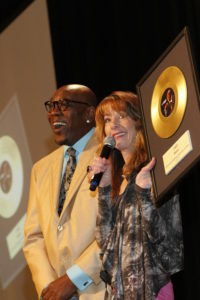 Wanz, grammy-winning artist, for inspiring us to give generously through his own gift of song. Our many sponsors, listed below, who made the event possible!